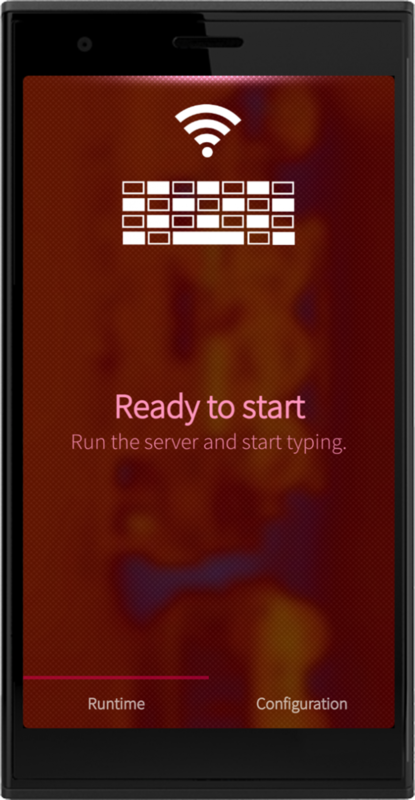 The sailfish-wlan-keyboard provides an easy way to use you your computer keyboard to type on your phone. Simply connect your phone to WIFI or USB and browse a website on your computer published by your phone. Keystrokes being entered there are transmitted to your phone and inserted at your cursor position. No hassle any longer with tiny smartphone keyboards or just too big fingers. Release 0.4.x is only compatible with version >= 0.2 of the headless keyboard extension. Is it possible that it conflicts with the installed TOHKBD daemon? I cannot use it, not the clipboard mode, nor the headless keyboard mode (yes installed). Especially with headless keyboard not taking away a VKB slot in the list, I was keen on using this one. Has the special chars support increased? Did clipboard mode work before you installed the headless keyboard extension? Is the web frontend browsable if the server is running and can the socket connection be estabilished? If you ssh as root onto your device and capture the output of 'journalctl -f' while using the app, what does it show? Further what does 'dbus-monitor --session' logged in as user nemo show while sending keystrokes to the applications? I don't have any TOHKBD to verify any incompatibility. I glanced at their source code (https://github.com/kimmoli/tohkbd2). They do provide an alternative keyboard layout which should not correlate with my patches. Further investigations would have to be made here though. A possible conflict could only be associated if the headless keyboard extension is installed. For reasons that are still unclear, the clipboard sometimes crashes and can only be reused if the phone is restarted. Yes, Unicode chars are supported now. At the end, I tried headless again without success. - The openrepos installer app is blocking the uninstallation of the application (the extension applies a patch which is undone during deinstallation. Openrepos seems to block unreversions of patches per default). Did you install the app through the openrepos installer or through manual file download and installation? If you did the later one, just press and hold on the icon on homescreen and remove the app this way. 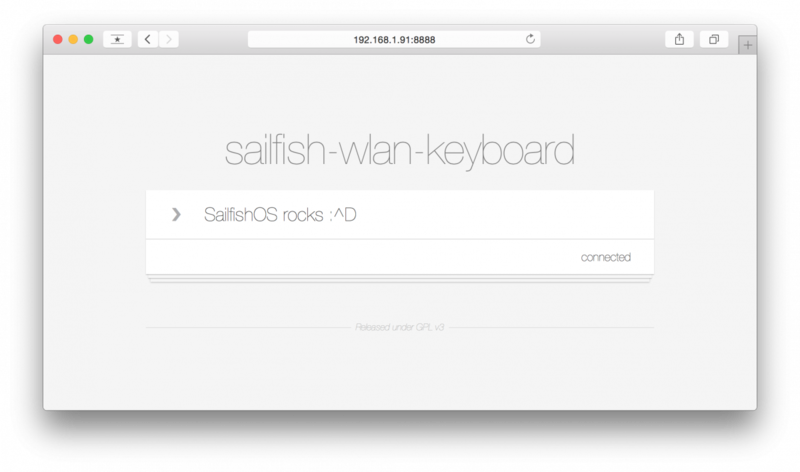 If you used the former method, reinstall the headless keyboard extension again by opening the sailfish-wlan-keyboard app, navigating to configuration/headless-mode and pressing the download button to download the latest *.rpm file of the extension. After reinstalled, remove the application as described above by press and holding the icon for removal. I was diggin into it cause I planned to make a video tutorial for my blog, but I discovered that the keyboard doesn't not display accented characters. In particular, I have a Mint 17.1 machine and my kb layout is set to Italian. The characters not displayed are èòàù and £ €. Hi abertschi, I love this app! Thank you! For me the clipboard mode is not working any more: only the last two characters are being stored on the clipboard, all text before is gone. I installed the headless mode as well. It seems to work, although it is slow sometimes. Have not tested it thoroughly. There was a character missing, right at the point where it was slow. Did I make a typo or was it lost? @rob_k, I am glad you like the app. Further updates regarding the fix will be discussed there.